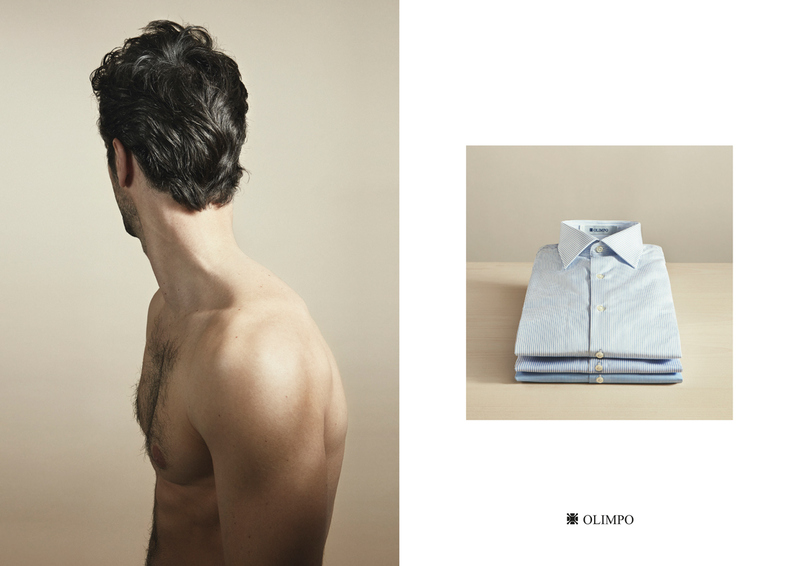 We can finally post one of our latest works, which was an ad campaign for Olimpo, a spanish clothing brand for men. It was a campaign which consisted on many (around ten) photos of a male model, each of them accompanied by a still-life shot of shirts and other products. 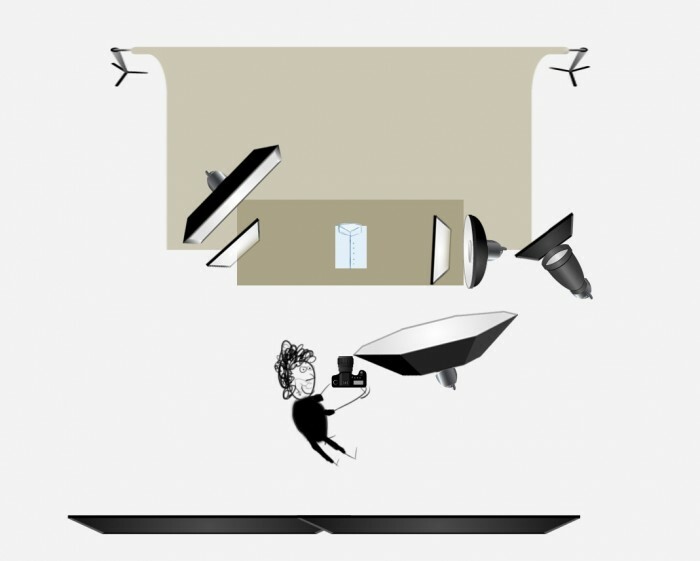 We also had to shoot some video, so that’s the reason why we went with continous light instead of flashes. We decided to use the Broncolor HMIs, which we had been dying to try for a while, and we found this to be the perfect occasion. 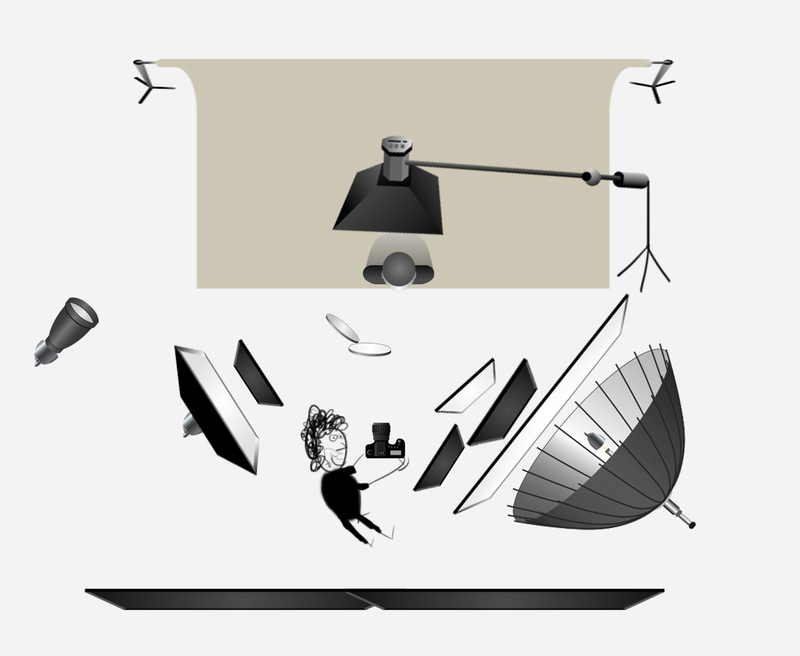 Here’s the lighting setup we used, including an accurate depiction of myself. 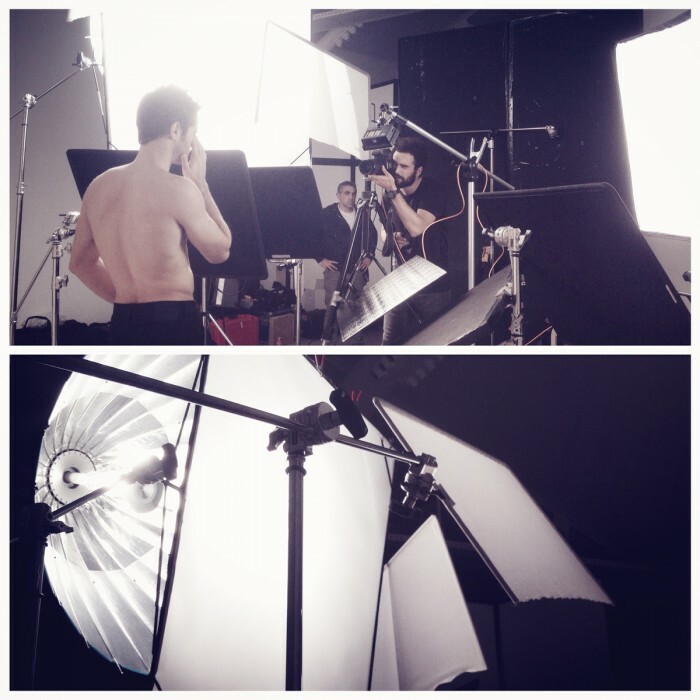 As you can see, our main light was a Broncolor Para, another toy which we had been wanting to use for years. And the waiting was worth every second. What a wonderful light! The way in which the light becomes softer or harder just by moving the lamp a few inches back or forth is amazing. We liked it so much that soon after we got ourselves one. Love at first sight. As you can see, we filtered the Para through a frame with white diffusion filter and we also used many flags and Hollywoods to perfectly control the volume and depth of the light and where it would begin fading. We then had another Broncolor softbox as a fill, with a flag covering the bottom so as to get the desired fall-off on the model. We also had two reflectors to get some highlights in the eyes, one lamp for the background and one more softbox just above the model, working on a very low intensity. We had a very specific brief which came from the agency and the client, so we knew exactly the kind of light we needed to achieve in order to get them the photographs they wanted, and thanks to the precision which we could control our HMIs we were able to get there with certain ease. The still-life shots would go right beside our model shots in the final composition, so we had to achieve a very similar light and tones, but in this case lighting some shirts. 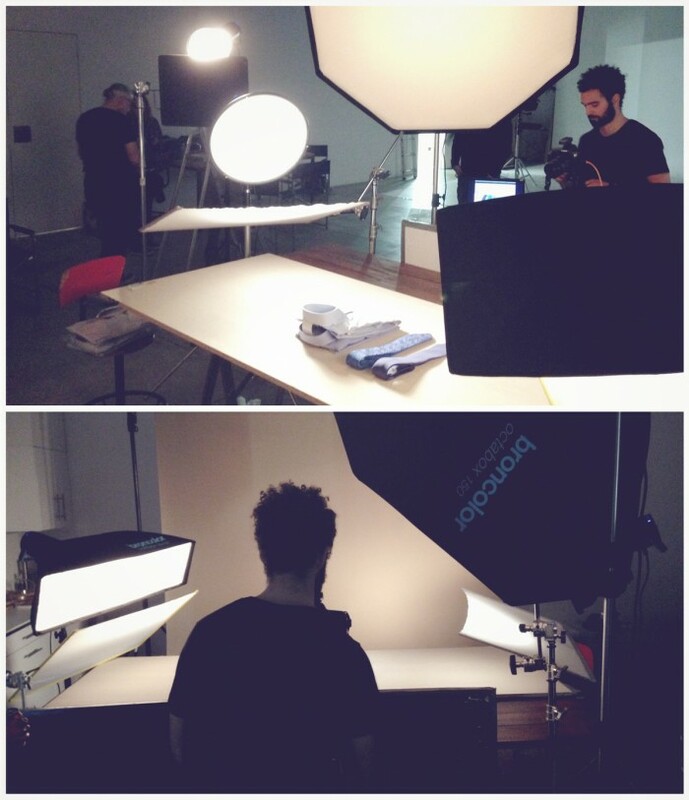 Because there was no video here, and because product shots are usually trickier, we used flashes. Specifically my set of Siros. As you can see, we used an Octa as a main light and then had a Beauty-dish coming from one side, and a strip as a back-light. And finally, one more lamp for the background. It was very important to have a similar light and feeling as the one on the model, and after some tweaking we finally managed to get the desired light which also made the product stand out.